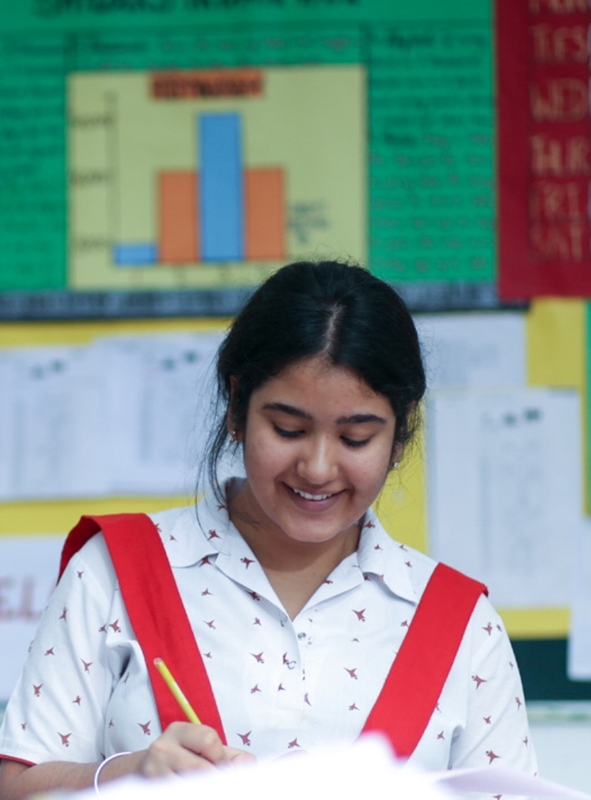 Our academic program encourages our girls to explore issues and subjects in an integrated way. The Art Curriculum in Hopetown is designed with the objective of giving students a creative medium to express their thoughts and ideas. The curriculum not just emphasizes on the visual impact of art but also provides an opportunity to the students to discover the artist in them. The department has well-equipped studios for painting, sculpture, textile, pottery and handcraft. This is to ensure that students get exposure to multiple mediums. 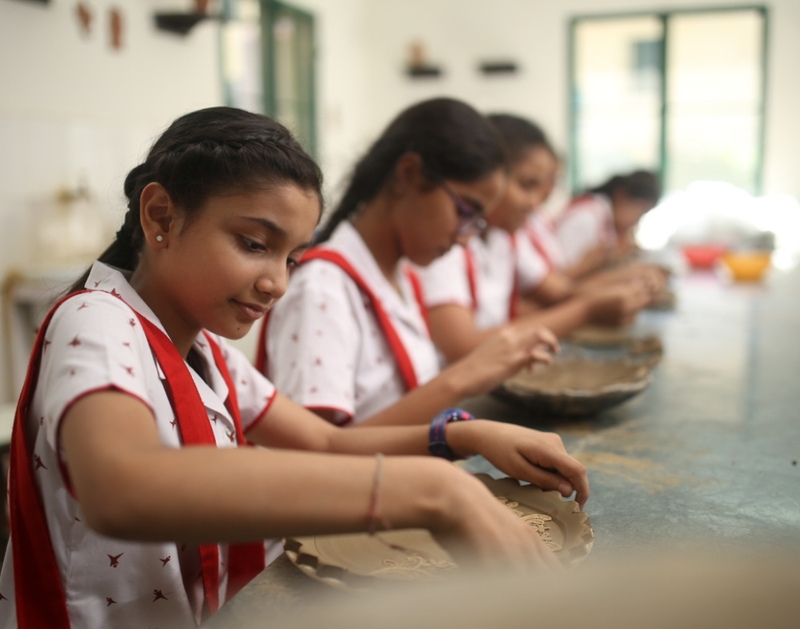 The curriculum exposes the students to both Indian and Western traditions in art to ensure a comprehensive understanding of different cultural nuances in art. The department creates as well as participates in platforms where art is celebrated and appreciated. The Annual Art Exhibition witnesses some of the best works produced by students every year. The members of the Art Department continuously upgrade themselves through various trainings, workshops and interactions with renowned artists. Since its inception in 2016, the Department of Human Sciences in its unique way has contributed to the growth of the school. As the name of the department suggests, the Human Science Department aims at developing young minds in the areas of self awareness and self development thereby encouraging students to be reflective and independent thinkers. The subjects that come within the fold of the department are: Psychology, Environmental Science, Lifeskills and Home Science. For the last two years the main areas of focus for the department have been streamlining the Lifeskills Program for the school, developing the Health and Safety Manual by collaborating with all the stakeholders within the school and capacity building of the department members. Since our inception we have been successful in collaborating with IRCTC for two years in organizing seminars on the ‘Importance of Mental Health in School Systems’, developing the Health and Safety Manual for teachers and students, successfully organizing two Psychology Fests for the schools in Dehradun and organizing diverse workshops ranging from fashion designing, slow cooking, culinary skills, baking to engaging in the Secular Ethics Program. The Commercial Science Department In Hopetown offers three subjects: Accounts, Economics and Commerce. As a team, we are continuously seeking standards of excellence through our teaching learning method. The Commerce and Economic students have scored 100% each academic year. To ensure experiential learning in our subjects, periodic visits to industries, production units and plants are organized. These enable students to have a practical understanding of the concepts addressed in the subjects. The students have also taken the initiative to organize a Business Club which is a platform for them to exhibit their ideas and put their learnings into practice. Our department follows the motto of ‘Stay together and Progress to Success’. We have been here since the inception of Hopetown Girls’ School. Every year we have strived to deliver a variety of shows from music and dance to drama thus always celebrating the talent of each individual student and living our own dreams through them. 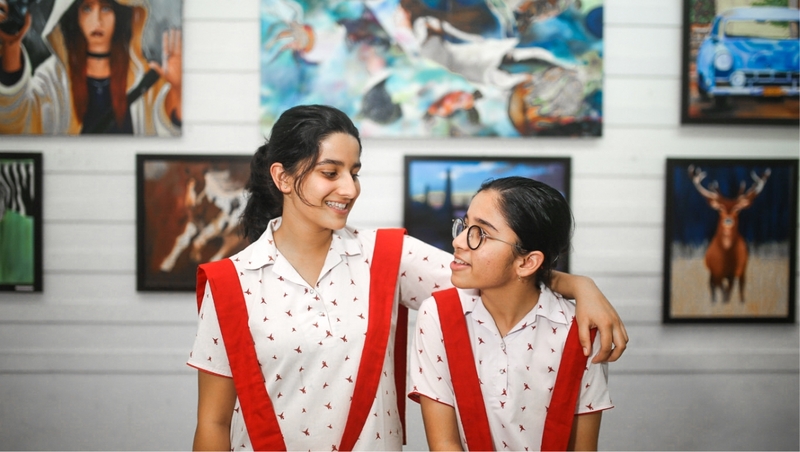 The school has given us tremendous support to explore our own individualities which has collectively been the progressing factor for the department. 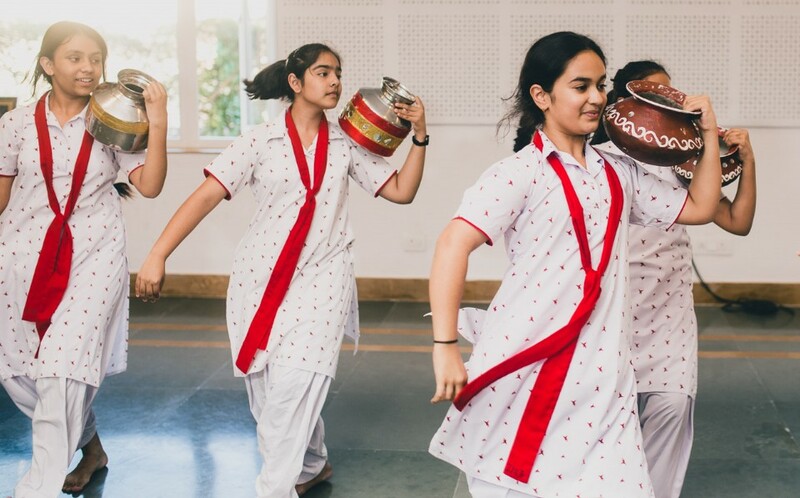 We take pride that we provide options to the students ranging from Hindustani classical vocal, sitar, santoor (100 stings), tabla to guitar, piano, western vocal, drums and drama. Our teachers are highly qualified and experienced as performers and teachers. We have a school band comprising of vocalists, guitarists, pianists, keyboardists and drummers. Our students take a lot of pride in their performances and this passion is visible to anyone who visits our school. 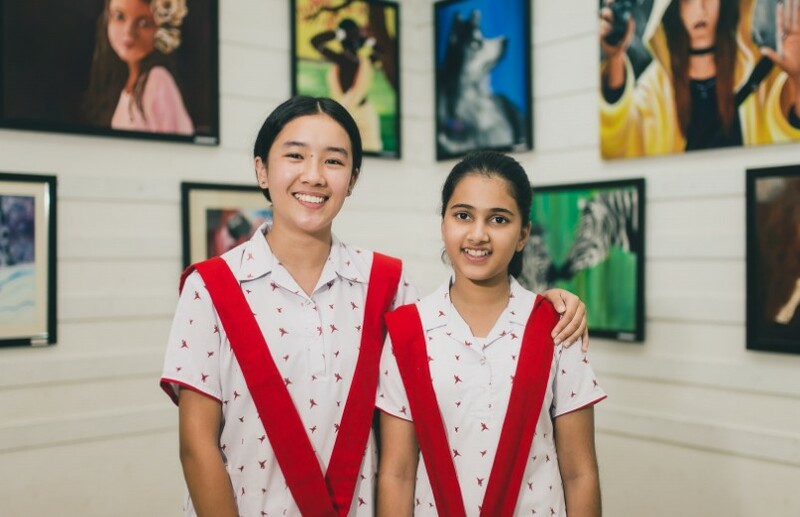 At Hopetown Girls’ School the Department of English endeavors to instill in students two important ingredients: communication and values. 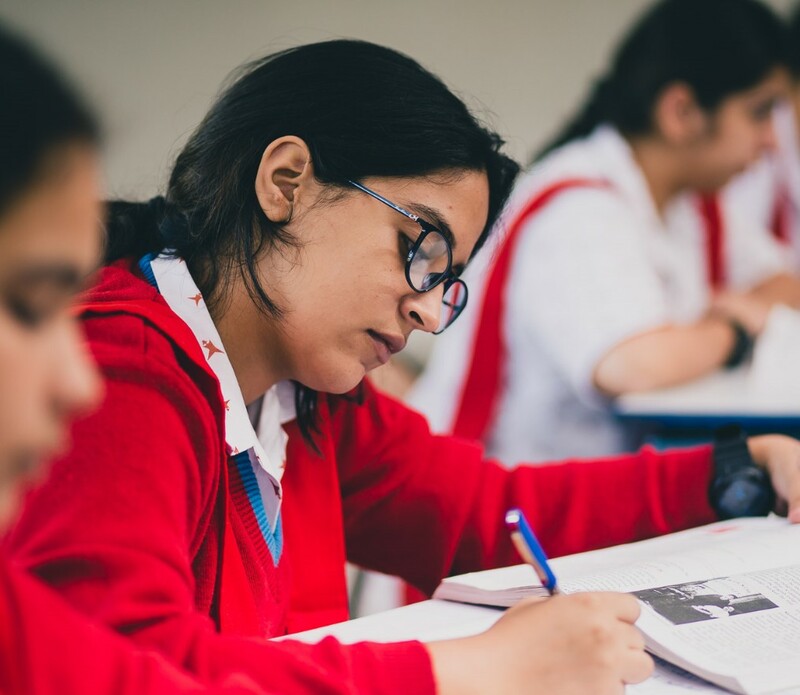 In the Middle School, attempts are made to expose the students to various literary genres through novels, poems and short stories. The language classes are adapted year after year to suit the requirements of our students. 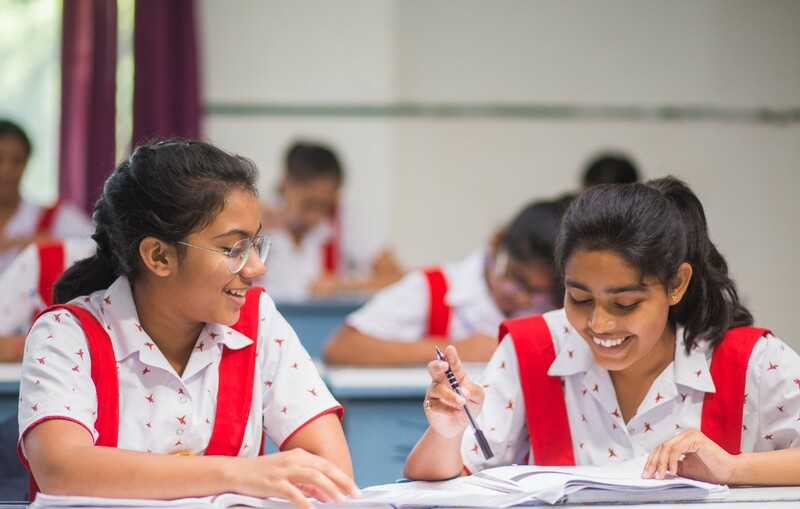 In the Senior School, the department follows the syllabus as prescribed by the CISCE. Students are provided a platform to express their view points and are given an opportunity to explore, create and dramatize. The school comes alive to their creativity and innovations in the month of February during the Literature Week when every child is given an opportunity to express her thoughts and ideas. The department uses technology as an effective tool to make teaching interesting and meaningful. Our final endeavor is to make every student realize that language is imagination and we strongly feel that this will help them to climb their own mountains. The expertise is provided by a competent team of teachers, who refresh their skills by attending workshops which furnish them with the current trends. At first you don’t want to leave home and come. But then when you start your life here, you fall in love with everything that Hopetown is about – the teachers, the location, the ambience, the culture and the friends you make. 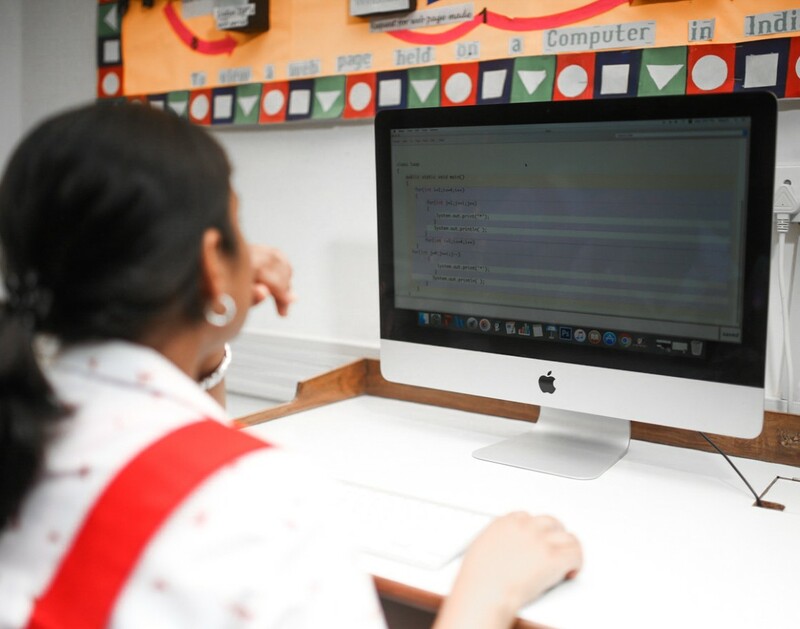 As part of the curriculum, the school offers Computer Application as a mandatory subject for the middle school and an optional subject for senior school students. IT at Hopetown drives the innovative use of resources to promote new designing ideas among students for learning and developing thinking skills. The School has a well-trained Cyber Security team of students who create awareness both on and off the campus. The School’s Cyberoam Firewall provides internet security through a unified threat management system. The Science Department at Hopetown comprises of a well-read and experienced faculty. We have well equipped science labs in both the Senior as well as the Middle School. 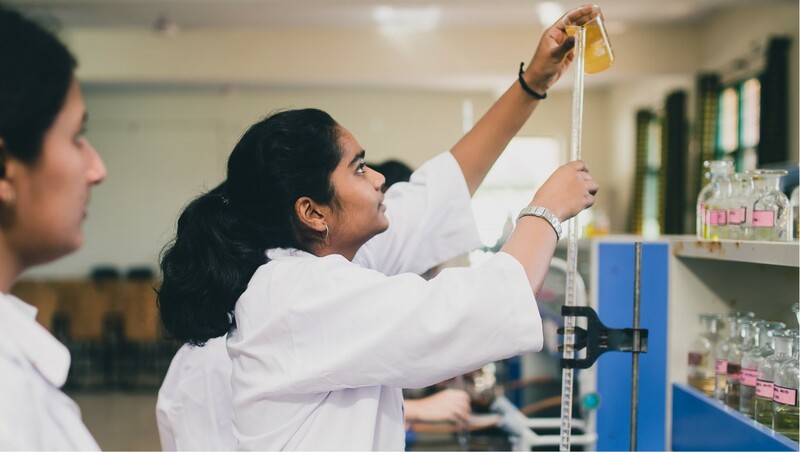 In the Middle School, we have an integrated approach to science whereas in the Senior School, students specialize in three subjects of science – Physics, Chemistry and Biology. Keeping in mind the changing times in teaching methodologies and emphasis on student centered learning, we have introduced the Stem Lab in our school this year. The Stem Lab activities give the students an opportunity to innovate and explore things beyond their textbooks and challenge themselves with the element of design in their thinking. Stress is laid on new skills and ways of thinking that are critical for India’s future as well as for the development of scientific young minds. The faculty members have been innovative in designing their own experiments to strengthen the concepts and have creatively used ICT in their teaching learning methodologies while developing scientific skills. Outside the curriculum, this is achieved through science olympiads, whetstones and other design-based activities. The Social Science Department at Hopetown Girls’ School embodies love and respect for humankind and the environment. Through an integrated curriculum, we endeavour to nurture responsible global citizens who understand the dynamics of their immediate natural, social and political environment through multi focal lenses that analyse the past, present and will contribute positively to the future of this civilisation. Our pedagogical focus has been on the integration of ICT in project based and skill based learning, field visits for ensuring experiential learning and a cross curricular approach in the teaching of the social sciences. 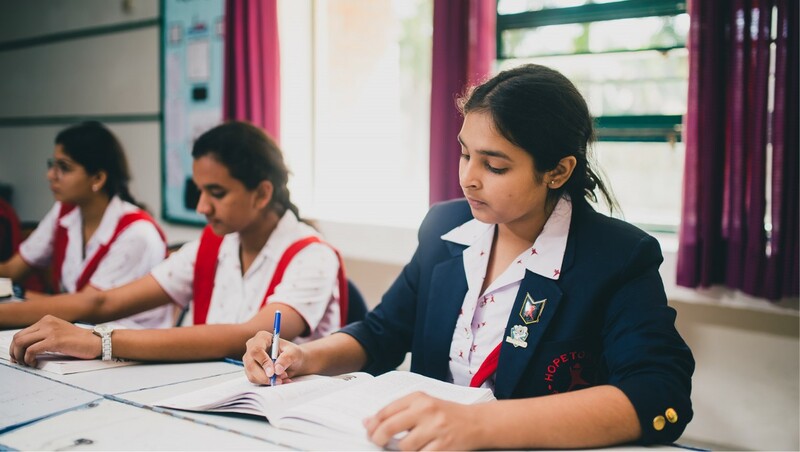 Emphasis in the Senior School is also laid in the development of critical thinking and analytical skills through the writing of essays, reviewing of articles on various challenging issues and discussions on simulating themes in the world today. The department reviews the curriculum annually to incorporate skill based learning and makes a conscious effort to embed internationalism into different concepts and themes. 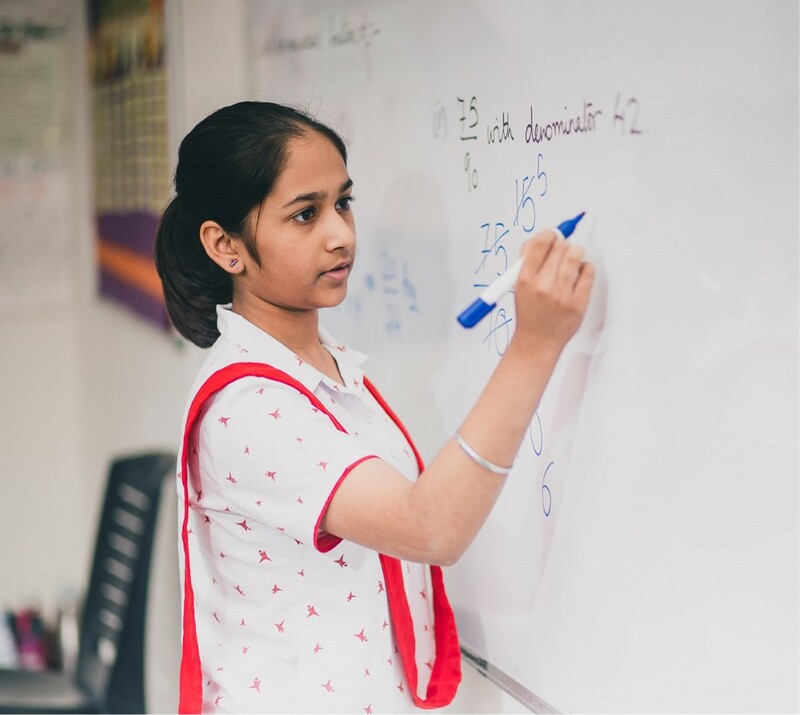 The mission of the Mathematics Department is to provide an environment where students can learn and become competent users of mathematical concepts. Moreover, the department contributes to the development of students as mathematical thinkers, enabling them to become life-long learners who continue to grow in their chosen professions and to function as productive citizens. To pursue this mission, the department focuses on the development, dissemination and application of mathematical knowledge. Various tools are used to ensure a learning process that is experiential and relevant to the students’ lives. The understanding of these ideas becomes more realistic and deeper comprehension and clarity is attained by the use of ICT. The department continuously seeks to create an environment where the faculty continues to grow as teachers while providing public and professional services.